Angie Silveroak and her husband are taking a much-needed holiday on the cruise ship Mermaidia, so the last person she hopes to bump into on the first night is her one-time best friend Selina and the man Selina stole from her and married twenty years ago. And what she needs even less is to be marooned in Malaga with Selina when both of them manage to miss boarding the ship in port. It will take three days for them to travel across Europe to catch up with the ship again in Croatia. And in the company of each other twenty-four/seven, a lot of old baggage is going to be unloaded. Angie Silverton and Selina Molloy have not always been friends. Best pals at school, they fell out over a man, and it was only when they both missed a ship in Here Come the Boys that they found friendship again. Now they are reunited again and life since their adventure on the Mermadia has been anything but boring. Did Selina stick with her horrible husband Zander? What happened to Angie and Gill when they stepped off the ship? And what does the future hold for the friends? Join Selina and Angie as they take afternoon tea at The Sunflower Cafe to find out. 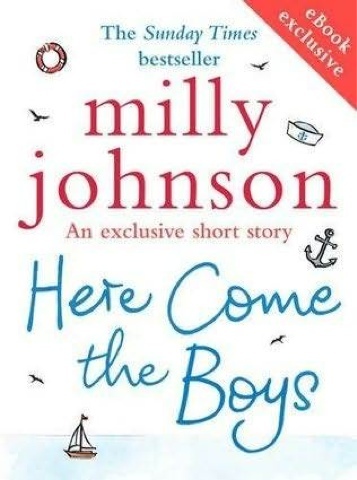 Review: Having thoroughly enjoyed Here Come the Girls, which I actually listened to as an audio book while on a P&O cruise, I was really looking forward to reading this novella. It was well worth the wait. Although a short story, it is not lacking in content. 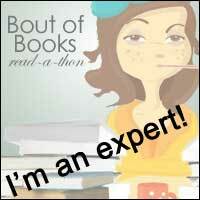 There is drama, romance, adventure and, of course, humour aplenty. Once again, the action takes place on the cruise ship Mermaidia, this time sailing from Southampton to the Adriatic. The main players are Angie and Gil on their first cruise, and Angie's one-time best friend, Selina, who has come on the holiday with her husband, Zander. I don't want to give away the plot, but suffice it to say that the girls have a bit of an adventure and not all of the action takes place on the ship. There are plenty of other interesting and entertaining characters on board, some of whom are instantly recognisable to anyone who has been on a cruise. Milly has also included a couple of individuals from Here Come the Girls. 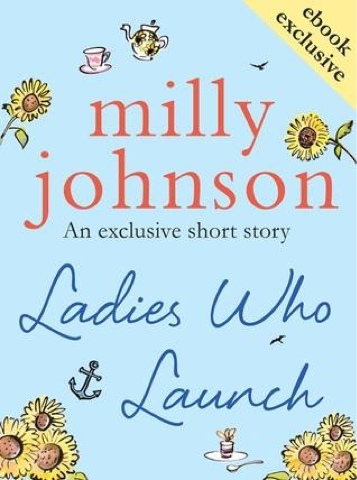 Milly has followed this story up with a short story called Ladies Who Launch, in which we see Angie and Selina a year and a half after the cruise visiting the Sunflower Cafe (from Milly's latest novel Afternoon Tea at the Sunflower Cafe) for one of their famous afternoon teas. It is lovely to find out during their conversation what actually happened at the end of the cruise. So often, I am left wondering what happened next at the end of a book. In this case I know - thanks Milly Johnson. In this story, as well as introducing us to the Sunflower Cafe, we also meet some of the characters from the next book. Both Here Come the Boys and Ladies Who Launch are wonderful reads. As with Milly's other novels, they are entertaining with some lovely Yorkshire humour. Be warned though, if you've never cruised before, and even if you have, you may well find yourself off to the travel agents for a few brochures.